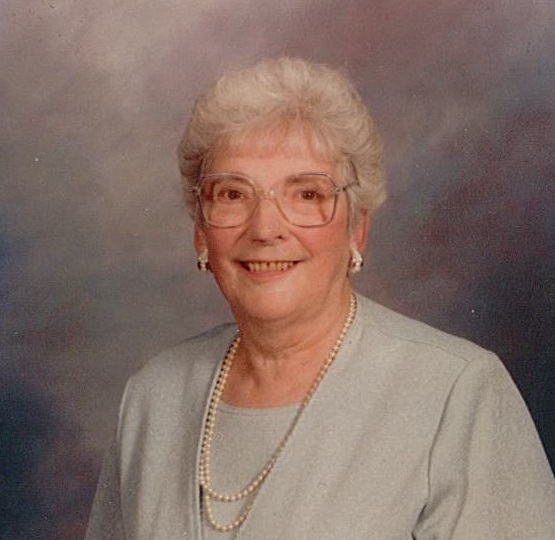 Doreen Elizabeth (Harloff) Schlotzhauer passed away on April 15, 2019 at the Huron Residential Hospice. Born in Rostock on November 28, 1927, daughter of the late Louis and Sophia (Malcho) Harloff. Doreen was a member of St. Peters Lutheran Church, Milverton. She was employed with the Mornington Municipal Telephone System for many years. Beloved wife of the late Douglas Schlotzhauer who predeceased her in 1980. Loving mother of Gary Schlotzhauer and wife Nancy of London, Brian Schlotzhauer and partner Glen Sanderson of Toronto, Bill Schlotzhauer and wife Nancy of Stratford and Debbie Cherwinsky and husband Jerry of Stratford, predeceased by son David in 1993. Cherished grandmother of Jennifer (Travis) Forrest, Mike (Laura) Schlotzhauer, Jeremy Schlotzhauer, Matthew Schlotzhauer, Kristopher (Suzy) Schlotzhauer, Jerry (Tammy) Cherwinsky, Nicole (Paul) Searth and Amanda (Joshua) McCree-Falconer, and great-grandmother to Sydney, Logan, Haley, Paige, Gracy, Jude, Olive, Axel, Dylan, Kylie, Zander, Lilly and Emma. Predeceased by precious great-grandson Liam. Dear sister of Ada Gropp of Milverton. Predeceased by sisters Pearl Gropp and husband Norman, Marie Querengesser and husband Harvey, Dorothy Attridge and husband Fred, brothers Albert Harloff, Norman Harloff and wife Edith, Egmont Harloff and wife Gertrude, Lavern Harloff and wife Rose, Lloyd Harloff in infancy and brother-in-law Carl Gropp. Friday, April 19th at 1 p.m.